Over the past decade or so, the girly part of myself has fallen in love with all of the films adapted from Nicholas Sparks’ romantic novels! Therefore, I knew it would only be a matter of time before I was in the theatre patiently awaiting the newest release to begin. 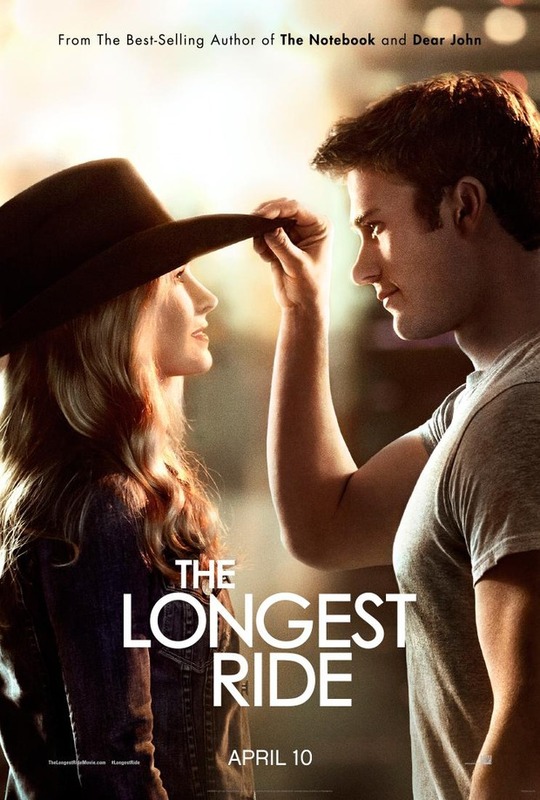 The Longest Ride was directed by George Tillman Jr., who is known for the films Faster, Men Of Honour, and Notorious. The film’s screenplay was written by Craig Bolotin, which he adapted from the Nicholas Sparks’ 2013 novel of the same name. 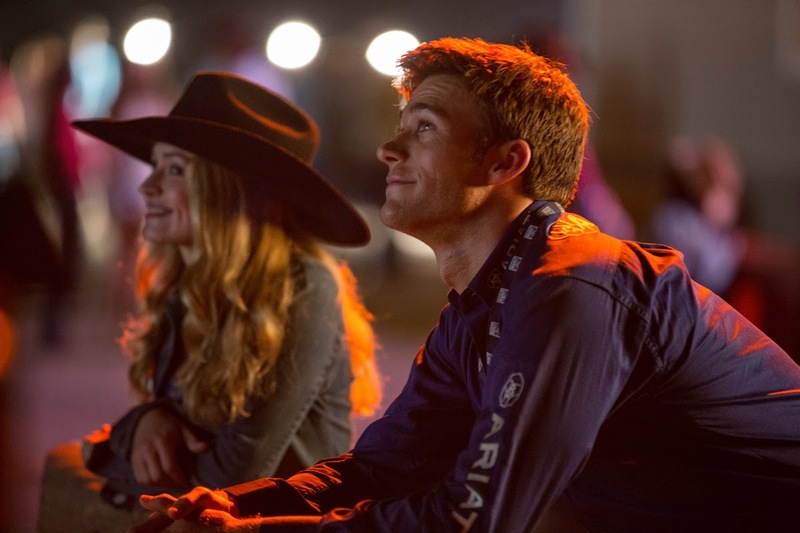 The Longest Ride is a romantic drama film that focuses on the young love of art student Sophia Danko (Britt Robertson) and professional bull-rider Luke Collins (Scott Eastwood). This storyline is effortlessly intertwined with the romantic telling of the life of an old man and his true love. George Tillman Jr. provided excellent direction in this film, as he had me laughing and crying alongside the characters throughout the entire 128 minutes. The film opens upon professional bull-rider Luke Collins as he attempts to win the Vegas championship atop Rango the legendary bull. However, after 4.5 seconds he is viciously thrown from the bull and the screen goes black. We are to assume that Luke was severely injured as the story then jumps ahead one full year. Sophia Danko an academically-oriented sorority sister is introduced into the film as her best friend Marcia (Melissa Benoist) tries to convince her to put the books aside for once. Marcia successfully persuades Sophia, so the girls head to a nearby bull-riding competition. 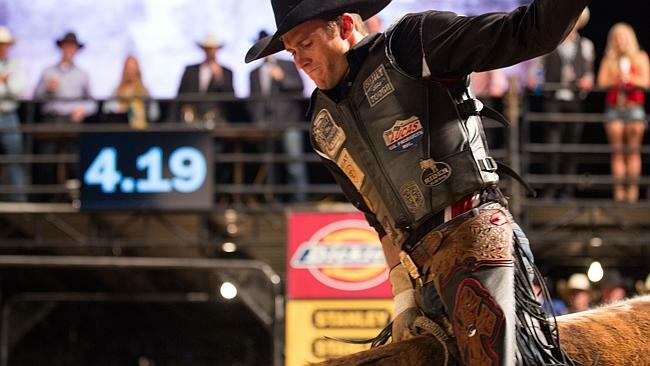 Just as they sit down, Luke gives his dramatic debut back into the bull-riding world after a year off to rehab his injury. Sophia and Luke have an adorable but brief moment after he completes his 8 second count, and sure enough they reconnect later on in the evening. Although she had a fun time with Luke, Sophia is reluctant to begin a relationship because she knows she will be leaving in two months for a prestigious art internship in New York. After a little bit of Marcia’s persuasive attitude Sophia finally calls Luke. They share a cute and flirtatious conversation, which ends with Luke convincing Sophia to let him pick her up for their highly anticipated first date. After bravely walking through campus in his country attire, Luke finds Sophia and takes her to a breathtaking private beach for a romantic picnic and campfire. Sophia tells Luke about her impending geographical dispersion, so he decides to take her home instead of making a move. A vicious storm hits on their journey back, and Luke fortunately spots a car that has broken through the guard-rail and crashed into a nearby tree. The two heroically rescue an elderly man from the car and upon his request Sophia grabs the box sitting in the passenger seat. Upon arrival to the hospital, Sophia convinces Luke to go home by stating that she wants to stick around to see if the man will be okay after his surgery. Therefore, after being swept up in the drama of the rescue, she finally sits down to take a breath. She had forgotten she was still holding the box, so her curiosity takes over and she opens it to dramatically reveal hundreds of handwritten letters. She picks up the first one she sees, opens it, and quickly realizes that they contain the elderly man’s love for his beloved. Ira Levinson (Alan Alda) is in his room recovering from surgery when Sophia visits to bring him his precious box of letters. Ira states that he hasn’t been able to read them for years, so Sophia offers to come back to read them to him during his recovery. 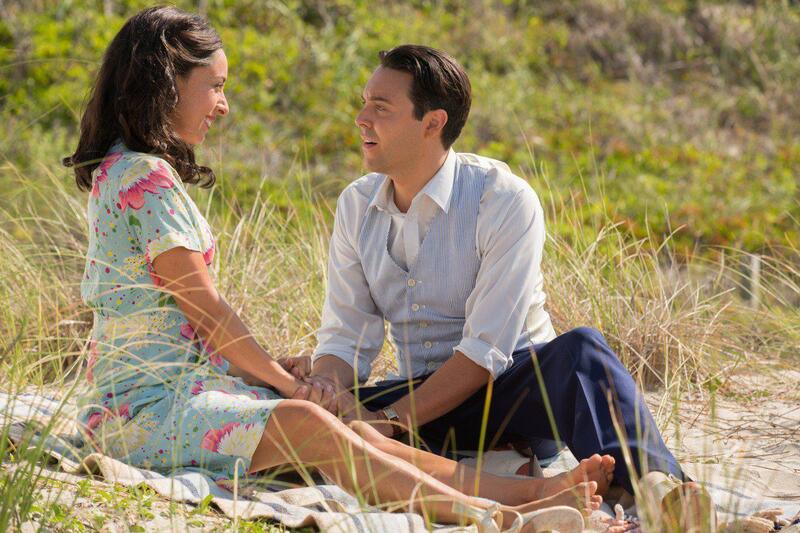 Throughout the rest of the film we are shown flashbacks to the 1940s of Ira as a young man, played by Jack Huston, and his journey through life with his true love Ruth, played by the stunning Oona Chaplin. Ira convinces Sophia to take a chance on Luke even though she knows she will be moving, because if it’s true love they can make it work! Throughout the rest of the film, mirrored in both timelines, the couples share their passions with eachother and learn how to love with support, sacrifice, honesty, and compassion. I thoroughly enjoyed this film and can’t wait to see it again once it is released on DVD. I absolutely adored the fashion of the story-line set in the 1940s revolving around young Ira and his dearest Ruth. Hats off to costume designer Mary Claire Hannan for her work on this film, as I felt like the couple was truly apart of that era. 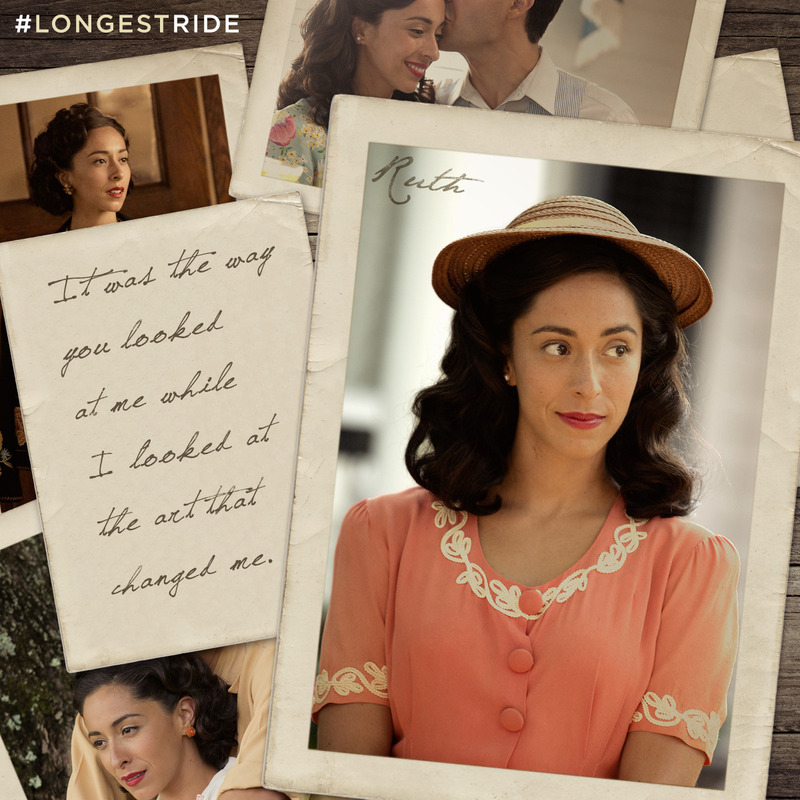 See the photos below for a couple of my favourite outfits worn by Oona Chaplin in the film! My favourite Nicholas Sparks’ novel adaptation is 100% The Notebook, as I mentioned in February’s “Tuesday Top 5: Romantic Films” post (see the link below). 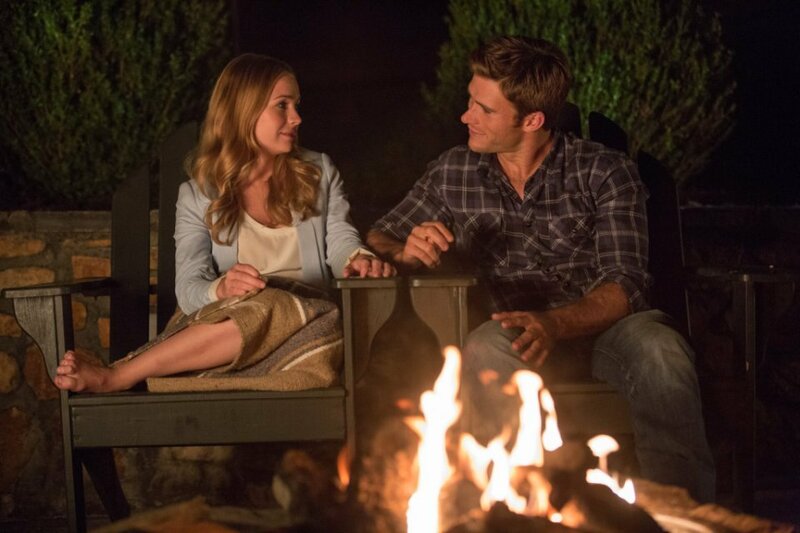 See below for movie stills from my three favourite Nicholas Sparks’ book-to-film adaptations, which I highly recommend if you have not seen them already. Bonus: As usual, I wanted to add a fun clip! Therefore, click the link below for a video of Britt Robertson, Scott Eastwood, Oona Chaplin, Alan Alda, and Nicholas Sparks play a cute game of “Never Have I Ever”! If this post hasn’t completely convinced you, check out the trailer below for a small taste of the emotion that unravels on-screen. Oh, and one last thing, don’t forget to bring tissues! !